You know what they say about the best laid plans of horror hosts and men… or, something like that. Seemed everything was screwy this weekend and nothing went as planned. It began with the torrential downpour of rain that caused flooding all over Middle TN, as I mentioned in a previous post. Fortunately Gangrene Manor is on a hill and the rain didn’t cause us too many problems. BUT the rain did cause us to cancel the Spookhand gig we had at The Muse in Nashville. We were wise to cancel, however, as these were floods of biblical proportions. 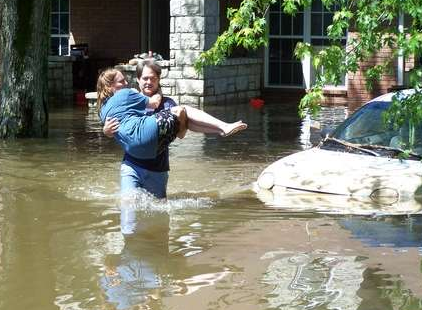 If you think I exaggerate, take a look at some of the pictures on Google; houses entirely underwater, cars submerged, and utility sheds floating away in the rapids. Saturday’s broadcast of Creature Feature didn’t happen as planned either, I’m sad to report. There was something screwy about the master tape we turned in, and the station was unable to air it. What was strangest of all was the station’s choice of a replacement movie. They showed THEY CRAWL, a movie we hosted last fall and which I had originally mistakenly reported here as the film that would be airing Saturday – but this time it aired without our host bits. Very strange and I am not really certain what happened other than gremlins at the station were playing tricks. Saturday evening the rains subsided and we braved the weather to take a trip to Target to buy a birthday present for my nephew. 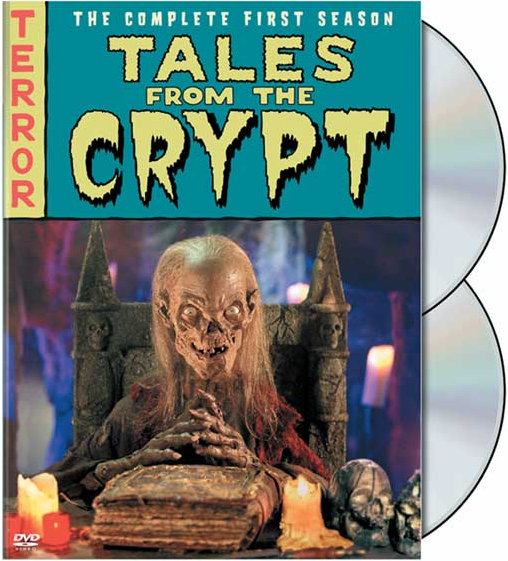 While there I stumbled across a true find – Season 1 AND 2 of TALES FROM THE CRYPT on DVD for nineteen dollars! I was happier than a vampire at a blood bank and quickly plunked down my cash and bought that baby. BUT, (and the way this post has gone you just knew there had to be a but, didn’t you) when I got home and opened up the DVD disc one of Season one was missing! No DVD, just an empty space where it was supposed to be. Worse yet, I looked at the clock and it was already after 10pm by the time I got home and opened it, and the store had closed. I got up nice and early the next morning to find it pouring rain again, and to make matters even worse Target closed for the day due to flooded roads! Arrrgh!! So this was one weekend I was glad to see go away. Traffic was hell this morning, as many roads were shut down due to flooding. I will return my DVD tonight and get another, and take a look at the master tape of THE HOLLOW later this week to see just what the heck is going on with that damn movie. This is the second attempt to air that episode that has failed. I didn’t edit this one originally, so don’t know what the problem is. But I will find out.